Plantation Shutters Abingdon on Thames by Just Shutters – your local shutter specialists. 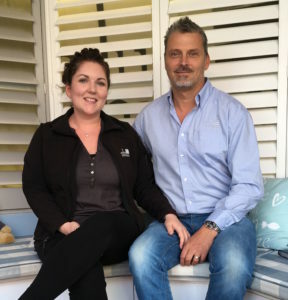 With husband and wife team James and Charlotte Chenery (pictured right), you are in expert hands. You can always be assured of the finest quality shutters and remarkable customer service from Just Shutters in Abingdon. Call us today on 01235 424282 and see what we can do for your home or business. Abingdon has a rich story, both historically and industrially. And whether your home reflects the period living of the historic market town, or rather Abingdon’s industrial heritage; or of course perhaps one of the many new developments in the growing town, Just Shutters have the perfect solution for your style and property. As people tire of laundering their curtains, or battling with recalcitrant blinds, the advantages of shutters are clear. – Fabulous looks; it is clear to see why most people fall in love with shutters. – Easy to clean; no nasty nets, no laundering! – Child safe; no hanging pull cords or trip hazards. – Energy efficient; shutters help insulate your home and reduce bills! — Added value; shutters improve curb appeal and add value to your home. One of the main benefits people enjoy; shutters still let plenty of light into the room and protect furnishings from the bleaching effects of the sun. The light and shade control is second to none. Allowing you to see out while keeping away unwanted gazes in! Our shutter quality is superb! 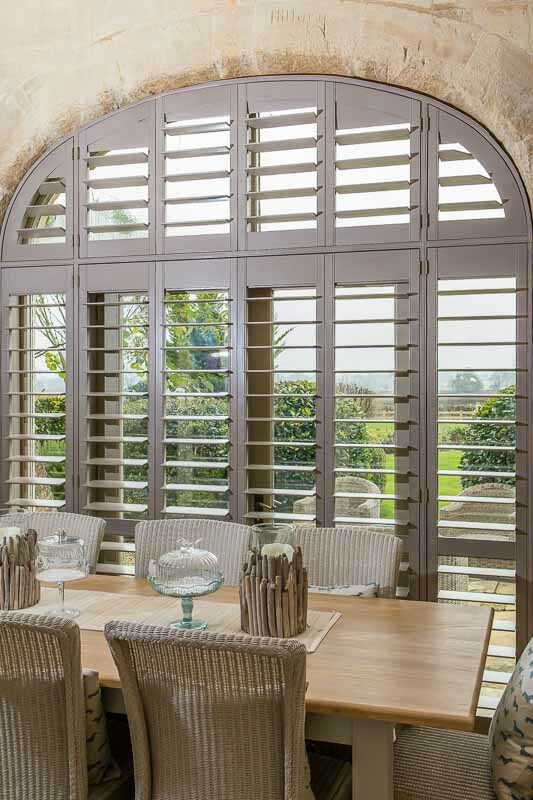 Just Shutters’ beautiful plantation shutters are made to measure in the finest materials in the world and can fit any window including shapes such as arches and angles. We are the experts! As local specialists, we can provide a personal service. Our range of stunning styles, stains and colours are the best in the business, with exclusive ranges you will not find anywhere else. Furthermore, all at a competitive price. Call Just Shutters Abingdon for an informal chat or to book a home visit 01235 424282. Shutters fitted to front of house. Good solid shutters fitted to a good standard. Happy. Shutters installed in bay window and 2 hall windows. Bedroom and front room shutters.